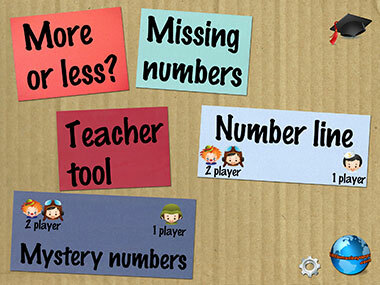 Little Monkey Apps Mystery Number is the digital version of the game 'Guess my number' or 'higher and lower' or a one hundred pocket chart or number line activities traditionally played in classrooms as mathematical warm ups. Teachers know that these 'games' provide opportunities to challenge young students understanding number, numeration and place value, allowing a whole group activity for different abilities of students. 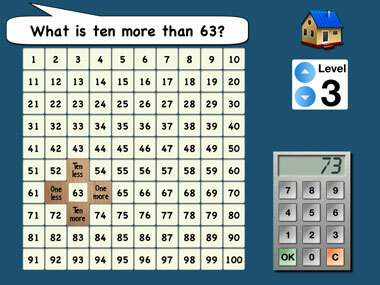 The App provides a digital display so that small groups, individuals or partners can play these games at the one time and quickly reset the number line or chart, unlike traditional pocket charts or displays. Modules include 'Teacher tool' 'More or Less', 'Missing Numbers' What's my number on a 'Number Line' and a hundreds chart, 'Mystery Numbers'. Some activities are manual allowing for a two player mode or one player against a computer. Stars are awarded for correct answers. After ten stars, students are asked whether they wish to continue playing or return to the front menu. Settings allow the user to decide whether the charts begin at 0 or 1. All sections of this App can be played without an iPad, using paper or pocket charts. (And yes, we do encourage you to still do this!) The benefit of this app is that you can have multiple games at different levels going on at the same time, you NEVER lose the pieces and if you're in an 1:1 iPad classroom, why not use tried and true games that teachers have used forever, but on the iPad! The teacher tool is designed to be a blank canvas for teachers to use with small groups or individuals. It contains a blank number chart in four levels varying from 0-30 up to 120. The chart has buttons to highlight odds, evens, and counting patterns 2's-10s. Tap to turn on, and tap again to turn off. This tool also includes two coloured pencils and eraser, a camera tool Which can be very useful for recording a learning experience for portfolio planning or to document new learning. The ten less, ten more one less one more 'box flap' can be moved to any number by dragging the middle of the object, then touch the fold down sections to sneak a peek at one more, one less, ten more ten less, useful for place value games. 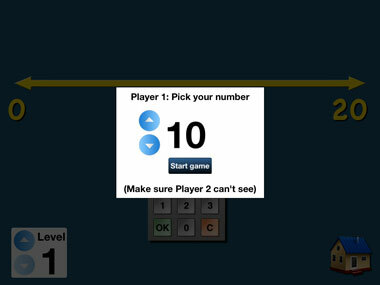 This game utilises the Box Flap to show one more, one less, ten more or ten less. 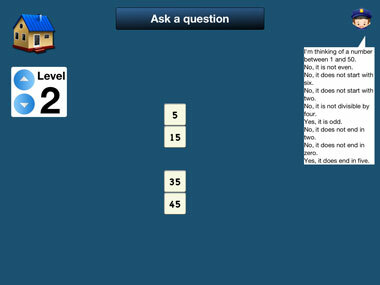 Users asked questions regarding a given number and answer using the calculator keypad. Students may sneak a peek at the answers by tapping to lift the box flap. Users can change the starting number from 0 to 1 using the settings button in the front menu. Four Levels 0-20, 0-40, 0-100, 20-120. One player is player vs computer. 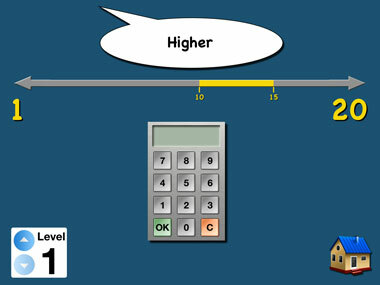 The student inputs a number on the calculator and the computer replies with higher or lower, highlighting the remaining section of the number line left. Two player. Player One is asked to pick a number, without player two seeing. Player Two plays as if playing an individual game. The computer aids the game by replying higher or lower. This game encourages questioning that narrows the range of a mystery number. 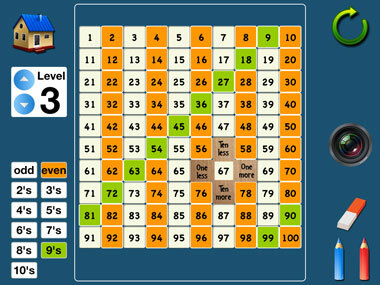 The computer thinks of a number and gives the range e.g 'I am thinking of a number beteween 1 and 30. Player One must click 'Ask a question'. For example Is your number odd? The computer will reply for example 'No it is not odd' and the tiles that do not match the question fall off. Player One must ask questions UNTIL the only number left is the correct number. Player one picks the number. Player Two must VERBALLY ask Player One, then Player Two (or One) can click to remove the numbers that do not match that question. 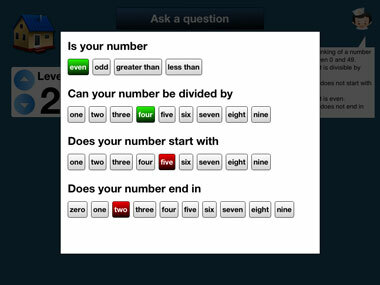 In this game you are able to guess the number outright, but as this is not efficient, students should be encouraged to ask 'good' questions to narrow the search for the number quickly. The benefit of 'setting' the number is that the student can't 'change' or 'forget' the number to make the game last longer!